Schematic illustration of the concept of User community responsiveness in all aspects of JRA, NA and TA. Activities will be tailored on a rolling basis to meet emerging User needs. 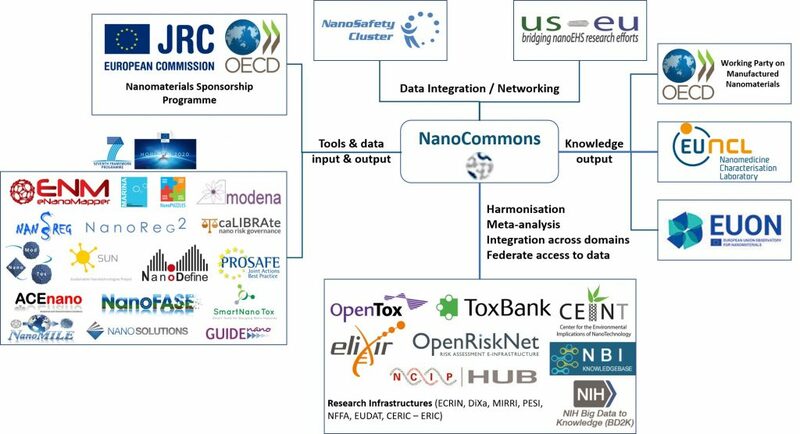 NanoCommons will integrate the Novel and Emerging Materials (NEMs) communities around an agreed set of approaches for data generation, data management and nanoinformatics, delivered via tightly interconnected NA, JRA and TA activities. Together, these will constitute a framework of knowledge and tools to support assessment of the hazard of NMs, their transformation products and their formulations for use in advanced materials and product design, regulatory assessment of NEMs and modelling and education around NEMs and their application as key enabling technologies. its efforts to support Users (all stakeholders: academia, industry, regulators etc.) in their utilisation of the appropriate tools and supporting expertise to address their data and research needs (TA). 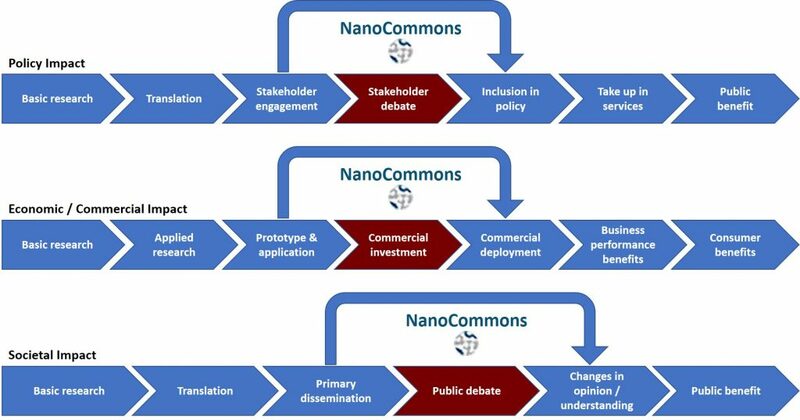 Key policy, economic and societal tipping points for NanoCommons impact.